For the third consecutive year, the Irish Craft Beer and Cider Festival will be running at the RDS. Last year saw an excellent turnout and a fantastic beer festival and I expect this year to be even better. There are more breweries this year, in fact at least 6 are new to the festival. It's not just for beer lovers either, there are 5 Irish cider producers present as well as whiskey in the form of Teeling's. 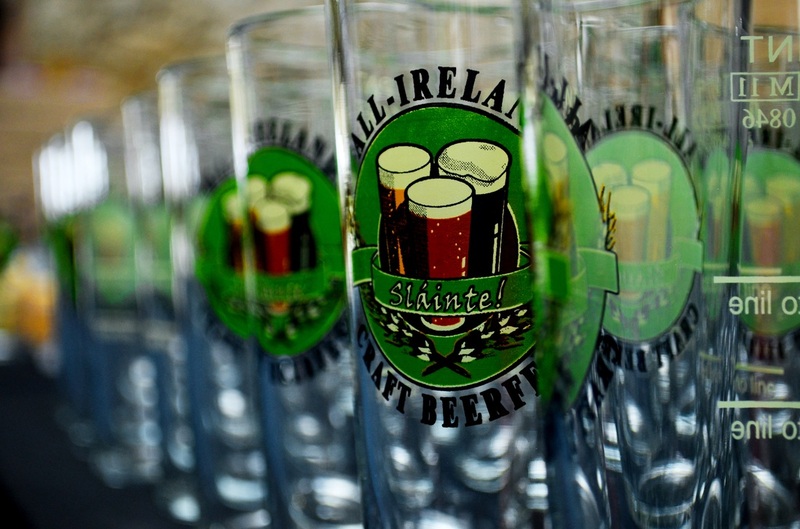 The ICBCF is where Irish breweries bring their latest beers and often launch them at the festival. It can sometimes be difficult to keep up and try all the new beers at the festival due to the increasing numbers of breweries. It's not something that should be complained about though, just enjoyed and racing around trying to get everything before it's all gone. As usual, the festival will be staffed by Beoir volunteers. For those that don't know, Beoir is Ireland's beer consumer group with a goal of raising awareness about Ireland's independent micro breweries. If you have any questions at the even, flag down anyone wearing a Beoir shirt and they will be happy to answer any questions, whether they are working or just having a drink. Tickets cost €10 and include a free souvenir glass. Tickets available at the doors and in advance from selected local off-licences craft beer pubs, see website for details. Concessions are available for certain groups such as Beoir, CAMRA and NHC members. Just show your current valid membership card at the door. An extra day has been added this year so it runs from Thursday, September 5th - 5pm until Sunday, September 8th - 6pm. Also new this year will be a merchandise stand where you can buy brewery swag and other fun stuff. The stand will be staffed by, you guessed it, your friendly neighbourhood Beoir members. There will also be master classes and question/answer sessions so it will be educational as well as just lots of fun. Yes that's right, I have three pairs of tickets to give away. All you need to do is answer these questions three. The first three correct answers I get in the comments box below will win a pair of tickets each. The competition is open to anyone but please only enter if you are actually able to make the event itself. It's not fair to waste free tickets. The winners will be put on a guest list rather than get physical tickets so they are not transferable, however you can enter and put forward two alternative names as gifts if you like but please ensure they can make it. How many years has the beer festival been running at the RDS? Where in the west of Ireland is the little brother to this festival held? Hint, it's on August 24th. How much does full Beoir membership cost for a year? If you don't win, don't worry. Keep an eye on the Twitter and Facebook pages for other competitions. Below is a list of breweries and cider producers that will be in attendance. That list might grow so keep an eye on the website as well as Twitter and Facebook. * denotes new to the festival. 1. 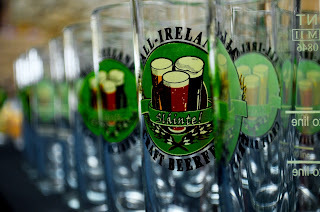 3 years, although I think it was the Irish Craft beer festival in 2011 and only became Craft Beer and Cider last year. It's a trick question. John, have you emailed me your details yet? I have the other two winners, I just need yourself. First correct answer. Now that you have done all the work, the next two can do it a little quicker. And the second is in. To be fair, I will accept both since the third one has yet to actually happen. Can everyone email me their two names. Email address is in my about me page. Any stragglers, keep an eye on twitter and facebook.